Home design ideas are endless and it keeps changing with time. 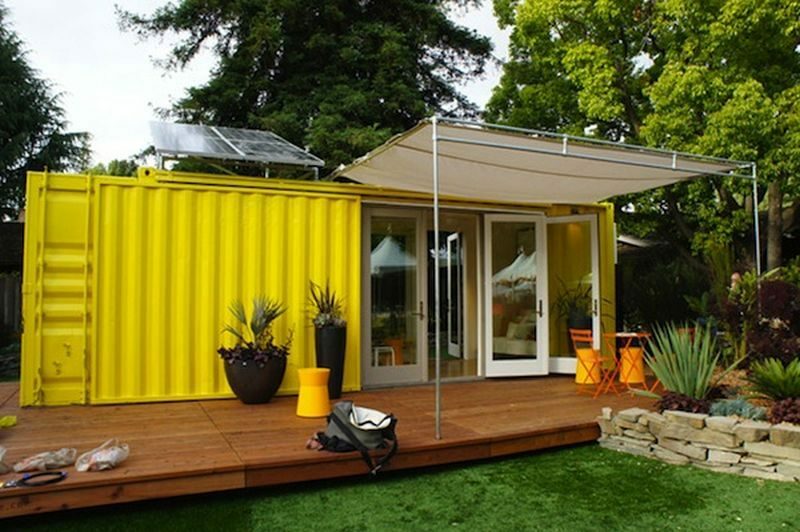 One of the breakthroughs, latest and most trending in this category is the shipping container home design ideas. Yes, the ideas are unique and different all around but there is some actually very beautiful homes design available made with shipping containers. There are many benefits of having a house made with the same. If you are thinking of having one, this article can help you out creating a new style home for yourself. Everyone dream of having one beach house in their life but we know that Beach houses are costly and can charge you tons in building it. But with the help of these shipping containers, you can easily make a perfect and beautiful beach house without spending much. 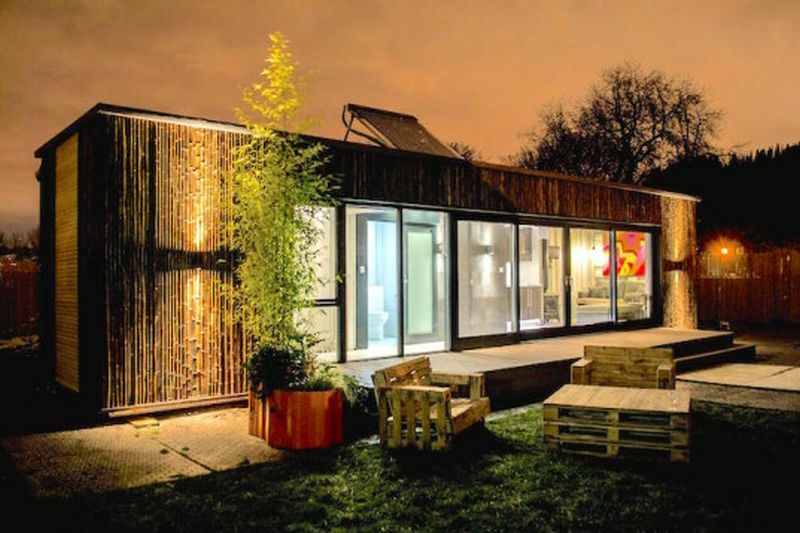 One of the container homes includes the industrial design with a walnut finish from outside. The house can have a different deck to enjoy the outside view and also eating outside with the sun pouring in is not a bad idea at all. Inside the house, the floors are made with concrete floor for a hard surface. To allow natural light in container home, window panels are designed with dual- panel aluminum to give a perfect view with the beaches all around the year. This unique beach house is worth try and will fulfill your dreams of having a nice beach house at an affordable price. This one is for the guest; this container can help you out with the guest house individually. You can make this guest house and it can cost you around 50, 000$ as per the experts. For this, designers have used metal containers which you will not find out that it’s a metal container once it is done. To make the guest house look spacious and airy, some large windows from all sides are installed. It will allow the light to come in and the guest house will have a natural and bright light. To avoid original cargo container look, use panel for the exterior wall and also you can apply a paint which suits your taste. Research says that the people who bought this house cost them little as compared to the modern houses. It is elegant, unique and most importantly can’t cost you much. So why not make this house which is most affordable, instead of getting the heavy loan to make your life more difficult. 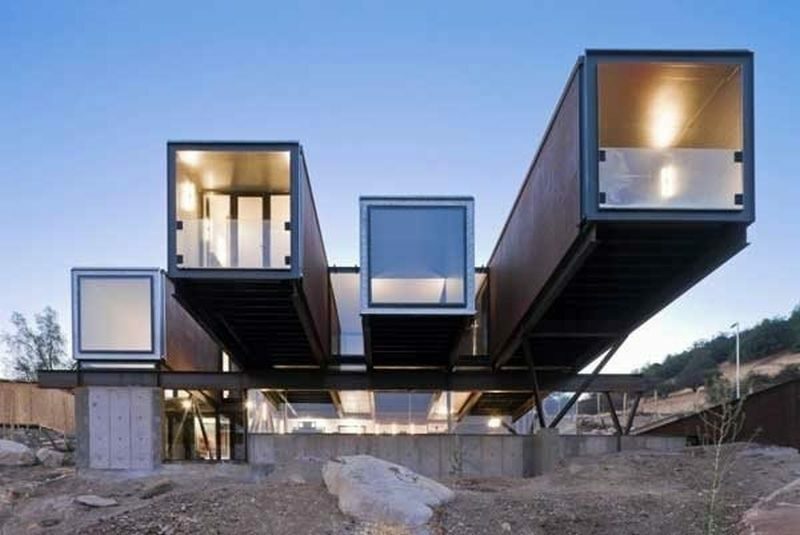 These new ideas of making a shipping container house which is made with 2 pieces of the container and made separately. 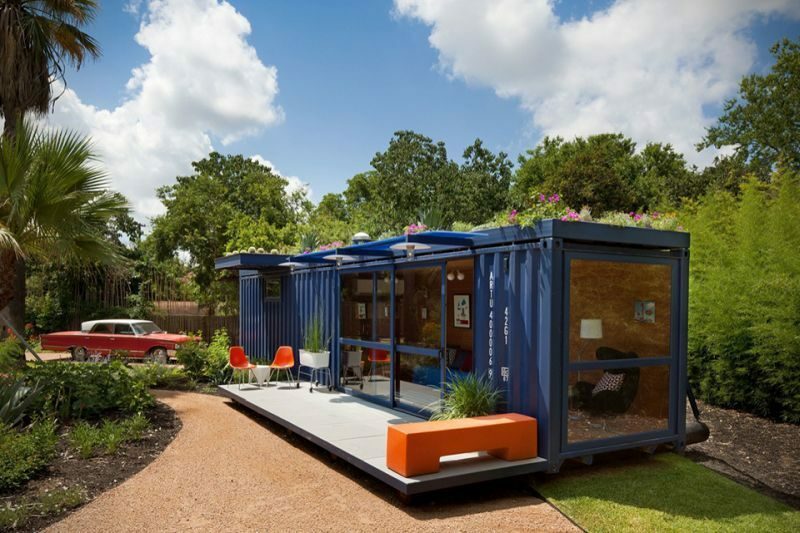 The best Design ideas for homes made from shipping containers. Here the house is separated by a small yard in between which looks beautiful and you can make use if this yard in many ways. The small in between can be used to build a nice patio, kids play space or if you have pets, you can dedicate this place to them. This way your kids will always in front of your eyes once you glance through your large window. The house idea is ideal for the newly married couples who want their own space and also want to stay close to their family. In this house, all the window panels made of glass are installed to make the area look more spacious and dazzling. Now comes the decorating part of the house. Decorating a shipping container home is a little chaotic but once you manage to do that, it will look beautiful worth making. Paint the inside with the color of your choice, using wood paint and acrylic the wall are made interesting. Use big chandelier and lighting to make your house interesting. Wooden interiors work best with different lightings. This house will look like any other house once you see the exterior, and you cannot make out that it is made of shipping containers. These one shipping container home ideas are perfect for the small family. The small house is made up of two containers and other building material. It can have 2 bedrooms, a living room, a kitchen, and a bathroom. We can say it’s a small house but inside the house is actually very spacious and all the rooms are open and bright. The rooms have been designed so beautifully that they actually created an extra space for the laundry room as well. In these small houses, you can combine the living room with the kitchen to have a more open space and it will give a more open space. Again install bigger window to make this small house look bigger and natural light can enhance the look of this cute house. This is one of the best budget-friendly options in making a shipping container house. Apart from all the design and decoration in the house, you can use some smart trick to save more on your wallet. Have solar panels installed on your roof; this will make your own electricity and saves on electricity bills. For the house which is nearer to the water or on hills, sometimes electricity is harder to get. This can also solve the problem of providing you sufficient water as well which is again hard to get in these locations. Make sure to plan in advance if you are trying to build container houses which include extra cost as architecture, designing, and cost of material as well so that you have a shortage of cash in the future. 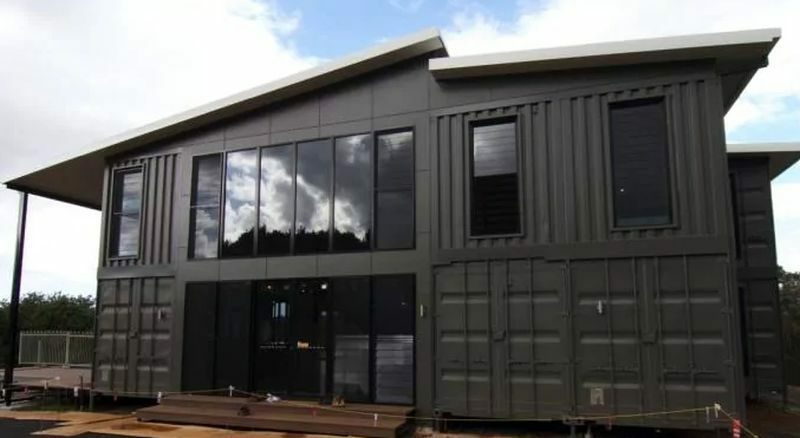 For all of you who wants to have a shipping container home and that too in affordable price, this single container house if best for you. The design is best and according to your wants. For this house, you only need to buy one shipping container and convert it into a beautiful house without spending much. You can have one coated with luxury and classy lumber. This can give your house a natural look and appearance. Avoid this design if you are residing in the water-based area or rainy areas. For the rest of the places, this little house design is best and affordable at the same time.